The best feedback from our community of coffee lovers. 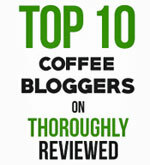 Coffee lovers share their best tips and experiences. If you have come to this site a few times, you’re probably familiar with our Coffee Questions page. Our readers ask questions, we answer them, and then everyone dives in with their own feedback, opinions and experiences. 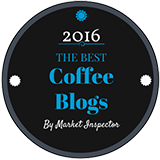 This page is devoted to the coffee lovers who have contributed the most useful, interesting or memorable comments on our Questions and Answers pages. This is a “living” page and will be updated to include the best and the latest comments. Question: How can I descale my Keurig K-Cup brewer? 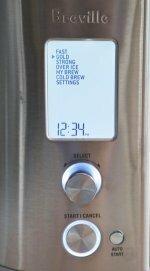 This is one of the most popular pages on our site, simply because thousands of desperate coffee lovers have been faced with their Keurig brewers refusing to brew. The answer, which has been used by thousands of people now, is the “slap and burb” method, originally suggested by Steve back in 2011. Thank you Steve! From Steve, the man who saved 1,000 Keurig brewers from the landfill. "After cleaning with vinegar 3 times, the thing just would not work, I mean like not at all. De-scale light would stay on and hardly any water would come out. Really didn’t want to tip it upside down, but went to the sink, tipped it upside down. A bit leaked out, smacked the bottom about five times. Turned it back in and plugged it in and works like new. Who would have thunk it. lol"
Question: Did Yuban Original Medium Roast Formulation Change Its Flavor? We have seen numerous questions and comments on the topic of major coffee brands lowering the quality of their coffees and disappointing their customers. Maxwell House comes in for the greatest criticism. But I particularly liked this comment because the reader actually compared Yuban coffee today with a can of Yuban he has owned for five years. Most of these comments are purely subjective, based on memory. So it’s nice to find a side-by-side comparison. This comment was submitted anonymously. But whoever you are, thank you. "I'm another old timer that has been drinking Yuban since the 70's. I could always spot the great and distinctive taste. When I would go out to eat there seemed to be only two types of coffee - generic piss and Yuban. No there is only one. I noticed the change like others did. I had an old can in my "emergency kit" that was about five years old. I did a side-by-side with 5 year old Real Yuban and fresh New Crap. Even somewhat stale it was still much better than the new stuff. Hope someone discovers a few palettes of the old stuff lost in a warehouse - even if it is 10 years old. I'll bet it is still better than the new stuff. It would probably bring about $200 a can on EBay!" Question: Drip or Percolated coffee...which is best? This is a topic that attracts a lot of lively discussion. For all the bells and whistles available with today’s drip brewers and single serve machines, there is a diehard group of coffee lovers who swear by old-fashioned percolators. I liked this comment simply because of the nostalgia of the story. It also aligns with my own suspicion that modern brewers may offer more of those bells and whistles, but don’t actually make better coffee. "I just switched back to perc after the water tank in my drip brewer developed a leak. I looked up in the cupboard and saw the tube and basket up there from Moms old West Bend, and remembered I took it into work to make hot water for any of the instant things we use to make. I remembered a box in the garage from those days at work, low and behold I took the lid off the box and there it was. I ran some baking soda through it, rinsed it out and made the best coffee I had in years. The smell wafting out of that pot brought back the memories of me getting up before Dad and plugging the pot in before I woke him up on Saturday morning to go rabbit hunting. You just can't beat perked coffee and never will. And for those of you who like to wake up during the week and have it done, hook up a cheap light timer to it and set it for 15 minutes before the alarm, who knows maybe that smell will wake you up first! :-)"
Question: Paper vs. metal coffee filters. Which is best? 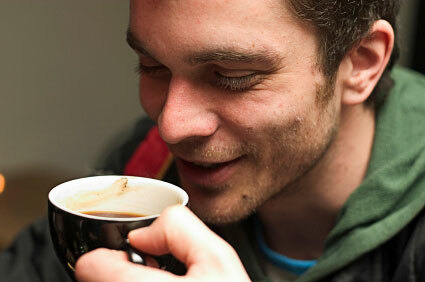 Numerous questions have been asked on this site about the health impact of drinking coffee. Is it good for you or bad for you? In this post, one reader took issue with everyone fussing over the smallest points when it comes to health. I agree with his point that there is probably more downside to worrying about every little detail than there is to drinking coffee. "My 92 year old Colombian grandpa has 325 cholesterol count, drinks religiously 3 espresso shots in the company of his other high cholesterol ridden friends, and still walks ½ a mile to his favorite cafeteria to play checkers 5 times a week. This begs the question regarding the relationship between the danger of cholesterol levels and any foods that contribute to their increase. Maybe just some of us, in the northern hemisphere in particular, are more prone to kick the bucket at this, so called, elevated cholesterol levels. Or not. Either way, if you’re going to drink a cup of coffee with all these worries behind, I think the danger is in the stress produced by the concern and not whatever the coffee or filters might contain. Just set back, enjoy any type of filter/coffee mix and live today as if it was your last. I promise you, if you do this, you’ll live past 90 with an excellent quality of life. Gulp." I’ll be adding more reader feedback here soon…so stay tuned. And check out our Coffee Questions page.